 The mission of the Center for China Studies at Buffalo State is to promote and coordinate research, scholarly exchanges, academic programs, and economic development with China. Center activities will advance the intellectual, personal, and professional growth of students, faculty, staff, and the general community in Western New York by providing an international perspective regarding China in the context of an ever-changing and diverse world. The Center's goal is to provide Buffalo State and the Western New York community with enriched opportunities for cultural, academic, and economic development by facilitating collaborative programs in China.